The writer is communications incharge, All India Congress Committee. 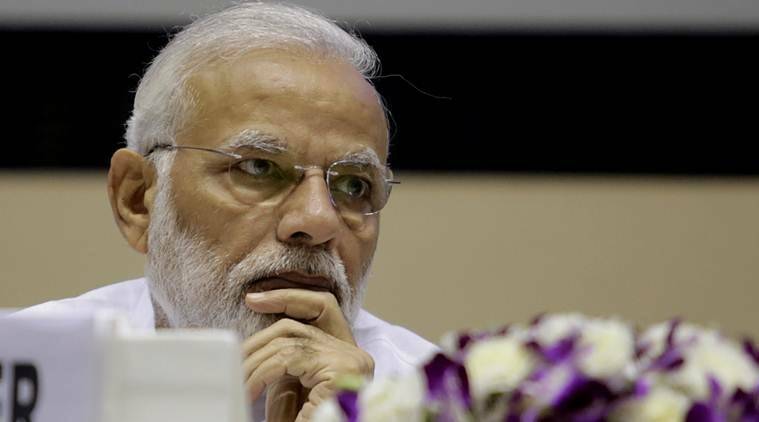 As its term draws to a close, it has become clear that no prior government has had a record for legislative and policy failures rivalling that of Team Modi. It has failed, thankfully, in pushing its anti-people interpretation on the right to privacy, a law on the appointment of judges and now, in foisting a draconian law on the people. Ironically, the Narendra Modi government has become so reliant on propaganda that it is completely oblivious to how the judgment is a blow to its grotesque vision for Aadhaar. Aadhaar was conceived and intended as an alternative administrative mechanism for the direct delivery of benefits. It was never mandatory and nor did the Congress-led UPA government intend for it to be so. However, upon assuming office, the BJP which had strongly criticised the project while in Opposition, took to it with the radical zeal of a new convert. They turned it into the world’s largest surveillance project by extending it to schemes without providing any rationale or justification. School admissions, mobile phones, bank accounts, airline tickets, death certification — to name just a few of the over 100 schemes for which it was made mandatory. A project that was intended to empower individuals became a tool for their enslavement in the hands of a government intoxicated on power. The alarming nature of the government’s intentions soon became apparent and invited numerous legal challenges from across the spectrum. The Congress, which had protested at this vulgar distortion of its vision, led the battle within Parliament and joined the voices arguing against the government’s overreach in the Court. The judgment is important for four crucial reasons. First, it strikes down section 57 of the Aadhaar Act. Section 57 was used by the Modi government to compel private companies to demand Aadhaar verification for services. The Court accepted the argument that no rationale exists for this power and declared it invalid. Consequently, the Court has struck downlinking of Aadhaar with mobiles and bank accounts. It has further directed that the data collected shall be deleted within six months. Second, it transfers sovereignty and ownership of data back to the citizen to whom it belongs. In a twisted fashion, the BJP’s Aadhaar law did not give ownership rights to the individual but to the Unique Identification Authority of India. In case of a breach or misuse of his or her data, the individual had no legal remedy. This has been rectified with citizens now having the right to file cases against the government in case of misuse or theft of their data. Third, no citizen can be denied benefits if there is a failure of Aadhaar authentication. This is a crucial direction. In their blind zeal to compel compliance, the government had denied basic services to beneficiaries who did not have an Aadhaar number. This resulted in at least 25 individuals dying due to starvation. Instead of addressing these concerns, the BJP launched a campaign of disinformation and outright falsehoods. Fourth, and perhaps most importantly, all five judges unanimously agreed that the decision of the Speaker of the Lok Sabha (on whether a Bill can be classified as a Money Bill) can be subject to judicial review. Prior to this landmark decision, the Speaker enjoyed almost complete immunity from judicial review, a fact which the BJP government exploited in this case by preventing the Aadhaar Bill from being voted upon in the Rajya Sabha. The BJP knew their Bill could not pass parliamentary muster and did not want to risk its fate in the Rajya Sabha, where it did not enjoy a brute majority at the time. Justice D Y Chandrachud’s judgment accepts and reproduces these arguments put forth by the Congress on the misuse of the Money Bill route. Justice Chandrachud arrived at the conclusion that none of the requirements of a Money Bill is satisfied, terming the law an illegality. His judgment acquires greater significance because it is not simply a legal critique. Justice Chandrachud has found this action of the BJP government to be a “fraud on the Constitution” resulting in a “debasement of the democratic structure”. He has cautioned the government that its notions of power and authority must be in compliance with the rule of law. This promises to be the most quoted part of the judgment. The BJP will make much noise about the fact that the scheme has been upheld as constitutional. This comes as no surprise. When the basic framework of Aadhaar was envisaged by the Congress-led UPA, we made certain of the fact that the policy was in conformity with constitutional parameters. This victory being claimed by the BJP is an endorsement of a legacy inherited from a government that actually made governance a priority. It is also a scathing censure to a government whose authoritarian objectives stand checkmated.